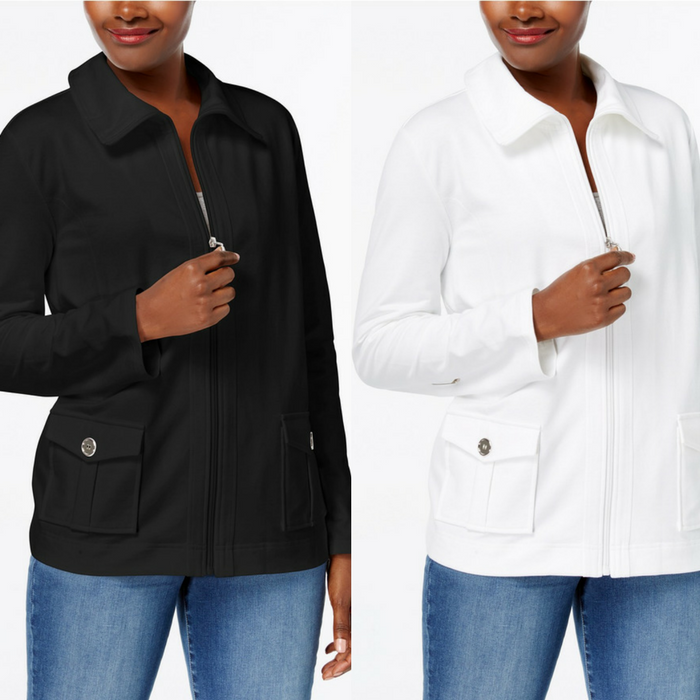 Karen Scott Active Jacket Just $19.73! Down From $49.50! You are here: Home / Instagram / Karen Scott Active Jacket Just $19.73! Down From $49.50! Effortless for your active lifestyle, Karen Scott’s french terry jacket zips up at the front, with plenty of pocket space for your essentials. Available in different colors! You’re gonna love them!